Tarps, tarps and more...........you guessed it tarps!! An entire family camp covered!! It sprinkled and poured almost the entire trip, but that did not dampen our spirits after all we are Canadians. :) The kids swam, the men made fires and fished and the women folk helped keep everyone fed and warm with food and hot chocolate. Anyways just keeping you all in the loop, life continues to be busy. I've been crafting like crazy and I will have lots to share with you soon. I hope you will take a minute to stop by the Core'dinations Blog, the sneaks there are so exciting. 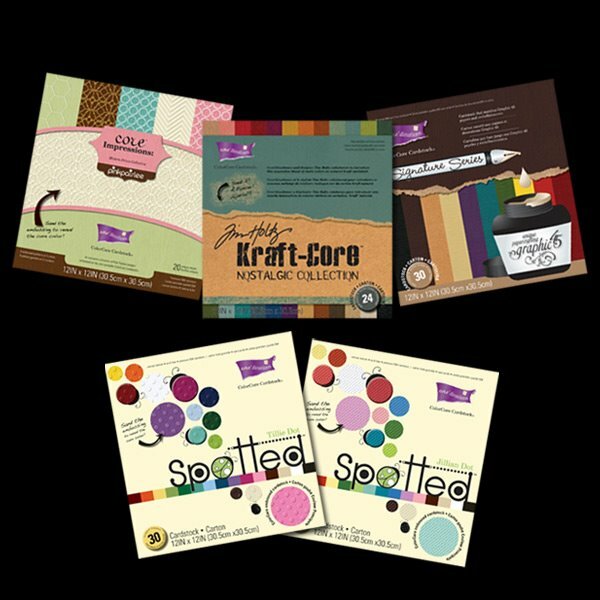 I am in love with the Kraft Core not to mention the spots, oh how I love dots!! soooooooooooo wish I was there camping with you! Fun photos!!! :) I like looking at camping photos and picture scrapping them with OA's campfire line, lol.